He may or may not be "mad, bad and dangerous to know," as a female contemporary famously described the 19th century poet Lord Byron, but there is something distinctly Byronic about British reeds player Julian Siegel. His cascading curls (an early nickname was Wig), penchant for black clothing, and the intense lyricism of his playing combine to suggest a latter day Romantic, striving to find beauty in an often ugly world. 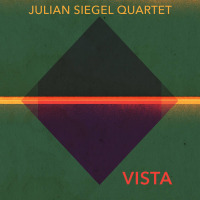 Siegel's first instrument is the tenor saxophone, though the bass clarinet comes a close second, and with Live At The Vortex, a double CD recorded over two nights at the north London jazz club, he's produced one of the two most absorbing reeds albums of the first half of 2009, the other being saxophonist Ingrid Laubrock's Sleepthief (Intakt, 2009). Laubrock's disc explores the outer limits of timbral invention and free improvisation, boldly going where neither man nor woman has gone so completely before; Siegel's set is of similar weight, within its more structured and in-the-tradition parameters. 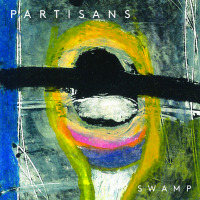 Since 2001, with guitarist Phil Robson, Siegel has co-led London's in-your-face, post-electric Miles Davis band the Partisans, while developing a simultaneous career as an acoustic band leader and featured soloist. 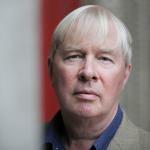 In addition to Laubrock, the other leading lights of British and European jazz Siegel has worked with include keyboard player Django Bates, pianists John Taylor and Gwilym Simcock, and trumpeter and flugelhornist Kenny Wheeler. 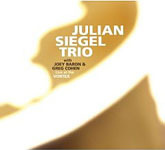 Not before time, Siegel was recognized by the annual BBC Jazz Awards when he won the 2007 prize for Best Instrumentalist. Live At The Vortex finds Siegel in the company of two equally distinguished American musiciansbassist Greg Cohen and drummer Joey Baron. Cohen includes work with saxophonist Ornette Coleman, trumpeter Dave Douglas and singer Tom Waits among his varied curriculum vitae. New York downtown luminary Baron worked alongside Cohen with reed player Ken Vandermark. The trio was unveiled at Britain's 2006 Cheltenham International Jazz Festival, and has since toured the UK twice, most recently in January 2009. And it cooks. Most of Live At The Vortex is up-tempo and gritty. Cohen and Baron are adepts of "intelligent groove"keeping things throbbing while also evolvingand they lift Siegel, who's clearly having a ball, into torrents of invention. His tenor, by turns full-throated and velvet, roughly multiphonic and caressing, is mesmerizing from start to finish, and particularly so on "Atlantic," "Wigsworld" and "Stop Go Man." All but two of the tunes were written by Siegel. The covers are Rudy Toombs' "One Mint Julep," which closes disc two, and Burt Bacharach's "Alfie." The latter is the bass clarinet highlight of the set, an entrancing dissection of the familiar tune, in which Siegel unpicks the inner harmonies with forensic precision, reassembling the melody over Cohen's spectral ostinato and Baron's singing cymbals. Utterly compelling from start to finish, and superbly recorded, Live At The Vortex is as good as it gets. Track Listing: CD1: Atlantic; Wigsworld; Alfie; Stop Go Man; Night At The Opera. CD2: Incantation #1; M.A.B. ; Haunted Waltz; Sandpit; One Mint Julep. 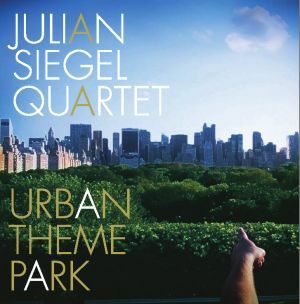 Personnel: Julian Siegel: tenor saxophone, clarinet, bass clarinet; Greg Cohen: double-bass; Joey Baron: drums.